All professional services begin with a clear understanding of the detailed needs of a particular project. In some cases, you may only need a few hours of consultation or basic conceptual sketches. Other projects require more extensive architectural or design services. Ultimately, all services begin and end with a satisfied client/owner whose expectations are met or exceeded. As an architect, I have designed a broad range of projects, large and small and everything in between. Because I am a "one man shop", you can be confident your project will receive my personal attention from beginning to end. In addition, because I am small, I only take on projects that afford the time to devote my full attention to solving your particular design need or problem. Depending on your project needs, a full range of Architectural Services can be provided from initial space programming to project completion and move in. Design Phase - A design is developed to incorporate all of the programmed spaces and requirements into the design. A Site Plan, Floor Plans, Exterior Elevations, Interior Elevations, Design Details and other Supplemental Design Drawings are developed. A Scale Model may also be provided if warranted. Finally, Design Specifications, outlining all materials, colors, and built-in cabinets/furnishings as well as HVAC, Plumbing and Electrical/lighting components and fixtures, are completed. An updated Design Estimate is prepared as well. Construction Documents Phase - A complete set of Construction Drawings and Specifications are completed, providing all details required to complete the construction of the project. A Final Construction Estimate is prepared also. Bidding/Negotiation Phase - This critical part of the project can be started as early as the Program Phase and involves pricing and/or bidding by Contractors or a selected Construction Manager. Once a final, negotiated price is agreed upon, the Architect will assist the Owner with the completion of required construction contracts. Construction Administration Phase - Administration of the construction of a project includes regular inspections by the Architect, project meetings with the Contractor to ensure that the project stays in budget and on schedule, review/approval of product submittals to ensure that the project is built as designed and review/approval of contractor pay requests to ensure that all financial obligations of the General Contractor to suppliers and sub-contractors are fulfilled. As part of Final Completion, the Architect ensures that all outstanding issues are resolved and that the Contractor completes all contractual obligations to the Owner such as provision of an Owner's Manual(s), As-Built Drawings/Specifications, Warranties and Equipment Maintenance Instructions to the Owner. Warranty Phase - The Architect, the Contractor and the Owner complete a walk through of the completed project twelve months after completion to ensure that the project is functioning properly, that all systems are in working order and correction by the Contractor of any non-performance issues is completed. Consultant Services are available for Owners in need of architectural expertise but may not need full architectural or design services. Space needs, code related questions or the cost impact of design or building decisions are just some of the problems that an Owner may need professional assistance with. Building Assessments - Starting with basic building inspections, measurement of existing structures, damage assessments or building expansion needs analysis, a full range of assessments, cost estimating and report preparation can be provided. Documents Review - Review of existing drawings and/or specifications for clarity, trades coordination or code compliance can be provided. Feasibility Studies - Feasibility Studies can be provided and coordinated to provide an Owner with forecasting tools for the cost and/or scheduling impact of various design alternatives. Owner's Representative - This is a very valuable service that can benefit an Owner who needs an architectural professional to represent his/her interests during the construction of a project. One of the first decisions, any Owner must make is the method of designing and building their project. Because each project is different in size, scope, and budget, the best method should be determined in consultation with the architect as early as possible in the life of the project. The following basic Project Delivery Methods can be used to successfully complete your project. 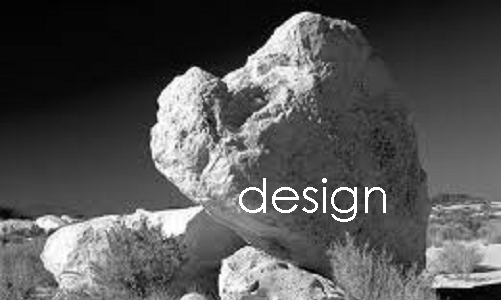 Design-Bid-Build - This method of project delivery has been around since an Owner or Client needed something done for the least amount of money. This is the preferred method when a project is small enough in scale and easily definable with very little room for interpretation. Examples would be the installation of a new roof or a simple bathroom renovation. Typically, the design documents are completed and priced by at least three pre-screened contractors. The project is then awarded to the lowest bidder. The upside of this method is simplicity. The downside is quality control. Due to the fact that you are hiring the "cheapest" guy, more scrutiny is needed to ensure that the project is completed as specified. Construction Manager At Risk - This method has become one of the most popular methods of project delivery. In today's construction world of ever escalating costs, it is important to have the contractor/construction manager on board as early as possible. Typically, a construction manager (CM), who is a general contractor, is selected based on their experience and reputation. Once on board, the CM is responsible for pricing as the project evolves from preliminary design through construction documents, at which time the CM will offer to build the project for a Guaranteed Maximum Price (GMP). This method is preferred on more complex projects such as a custom residence or commercial project. The upside of this method is the owner is given a price that will not be exceeded, the GMP, and they will see all pricing of trades work and materials throughout the project. This method does extend the design and documents phases somewhat, due to pricing and design revisions of alternatives to ensure that the budget is maintained. Design-Build - This is a variation of CM at Risk, where the Architect and Contractor become one entity. This method has the same advantages as the CM at Risk plus it simplifies things from an Owner's perspective, due to the fact that only one contract is used between the Owner and the Design-Build Entity. This method can be arranged if desired by the Owner. No matter your need, please feel free to call me at 813-817-9848 or contact me via my Contact Page with any questions you may have about a project or design problem you need solved. There are no costs or fees for initial consultations.